As a pro-beauty blogger and a makeup lover I’m always interested in the latest beauty trends, launches but also new brands. I like to discover new makeup items from beauty brands all over the world and share them with you as Chicprofile is an international beauty blog and addresses visitors worldwide. 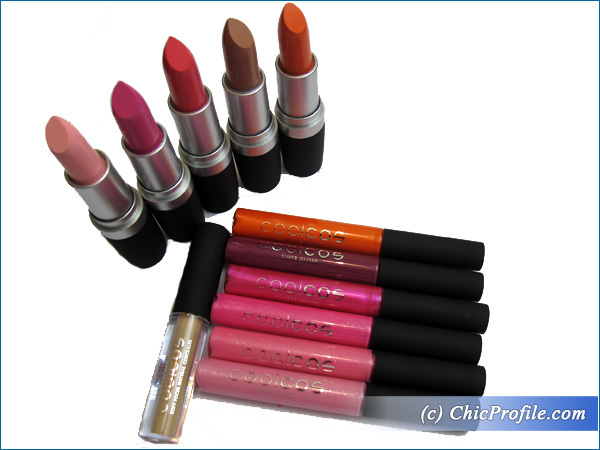 Recently I find out about Coolcos, a new cosmetic brand born in 2012, which recently became available in my country. After reading reviews and watching different bloggers talk on Youtube about these products I decided to introduce Coolcos to you as well. Together I hope we can get to know this brand a little bit more and share our thoughts about its makeup products. 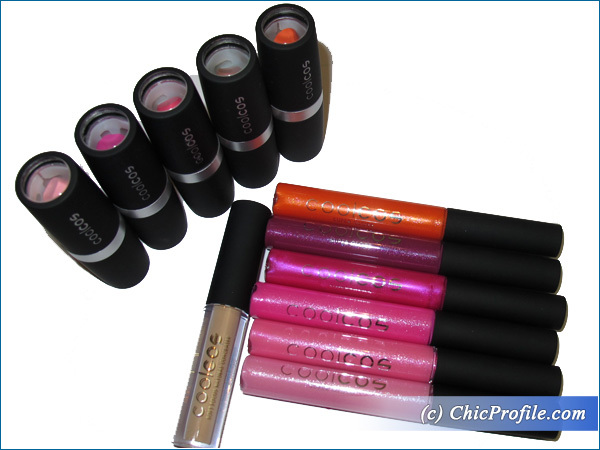 Yesterday I received my first Coolcos package with different shades of lipsticks, lip glosses and a concealer. This is only a sneak peek article but rest assure that more news about Coolcos will follow along with previews, swatches and individual reviews. As you know from time to time I like to feature a new brand and tell you all about the products I’ve tested or ask your opinion about the products I’m interested in and willing to purchase. Why Coolcos? First of all because while I was browsing the official website I was amazed to see the large palette of colors for lips, nails and loose eyeshadows. In Romania Coolcos became available only last month and it will begin to bring in all the products gradually. A second reason why I choose to speak to you about Coolcos is because I like brands that are interested and take into account a customer opinion. I like how they are interested in finding out what customers think about their products, accept their suggestions and think about what they can do to improve products’ quality and their formulas. Even though I received the following makeup products for testing and review purposes, I was asked to speak my mind and give my entire honest opinion about these products, regardless of my experience. So I would like to ask all of you to share your thoughts, opinions and rumors about Coolcos products. From what I could find out until now, I can tell you this brand will settle quickly into your heart if you are willing to give these products a try. Some say the products have a high quality, competing with professional makeup brands while the prices are more than affordable. I can’t wait to put my new Coolcos products to test and see how they truly perform. In the beginning I will start with a few lip products and I choose 5 Moisturizing Lipstick shades and 6 Super Lip Glosses. I’ve also chose to test the Soft Focus Natural Concealer as I read on several blogs that this products is amazing and it can rival even with the high-end concealers. I will post more info, photos and swatches soon but in the meantime if you have anything to share about Coolcos please do it in the comments. bellow. I had never heard of this brands before, but their products sound very tempting! I can’t wait for your reviews.